Hi Sugarbees! I’m Shelly from Dolen Diaries where I share my love of all things creative and how I create with the ones I love. The offical NFL season has started and the Dolen’s are pumped! 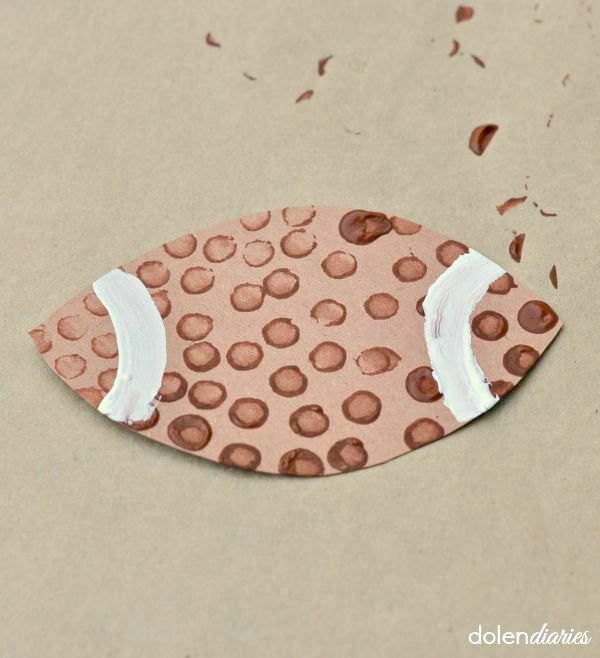 It’s the perfect day to make an adorable football paper craft with your kiddos. We live in the greater Seattle area and are wild about the Seahawks (Go HAWKS!). We typically watch the games at home as a family and I love to make each game special. We use Seahawks paper plates, go all 12th Man with handfuls of Skittles, and make football paper crafts. 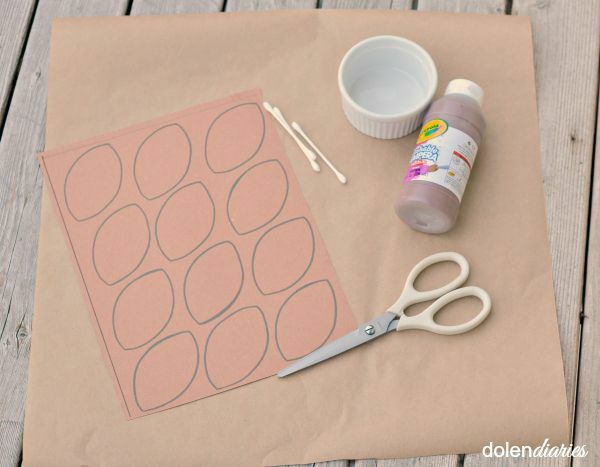 These football outlines are great for practicing cutting skills (don’t forget to help your kiddos hold their scissors with a proper grip…thumb on top). *Click on the photo to print. Cut out the mini footballs. 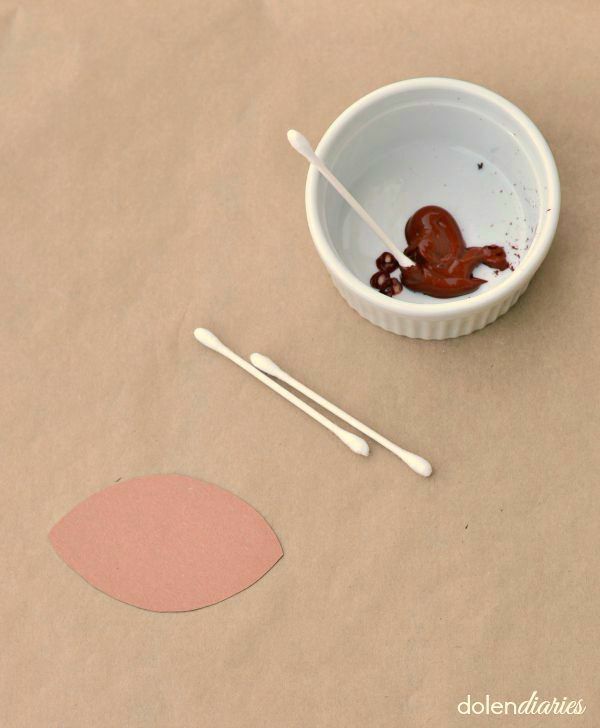 Dip one end of the cotton swab into the brown paint and dot away. 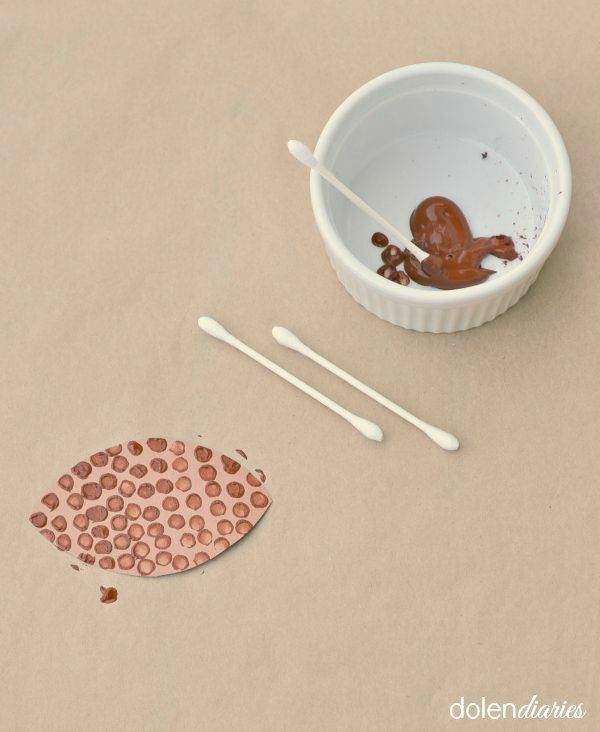 Once the football is full of dots set it aside to dry. 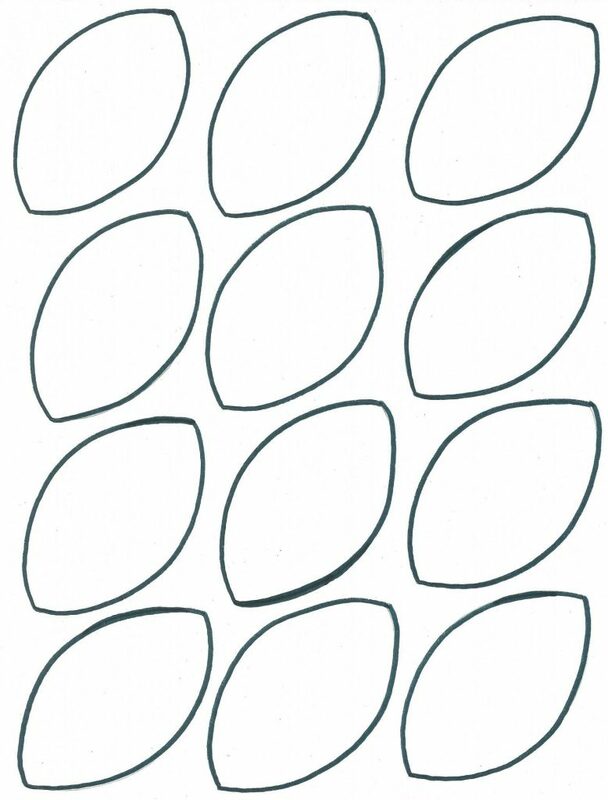 Continue to dot away until they are happy with the number of footballs they’ve created. Once they are dry add a little white detail towards the ends. My boys didn’t want to paint laces, but yours could certainly paint those on, too! Remember laces out! Aren’t these footballs darling!?! To enjoy them on game day we decided to turn our football paper craft into a garland. 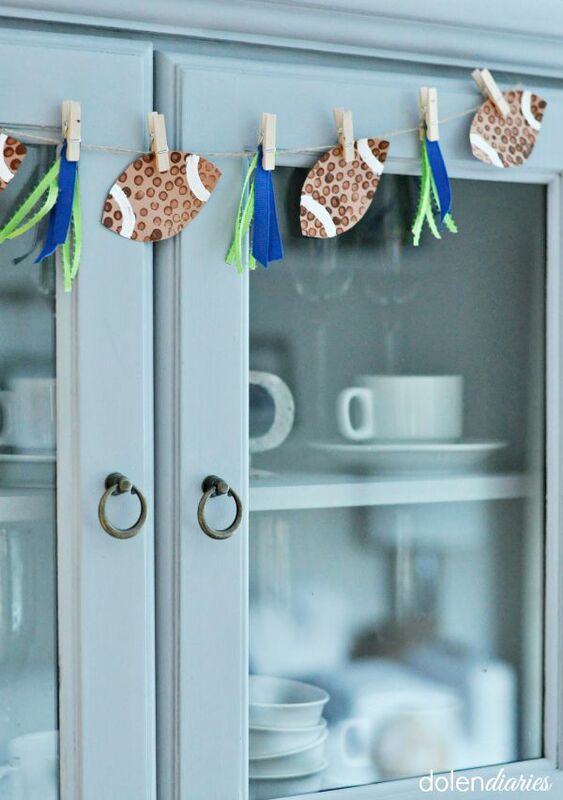 A few mini clothes pins, some twine, ribbon pieces in team colors, and you have the easiest game day garland ever! 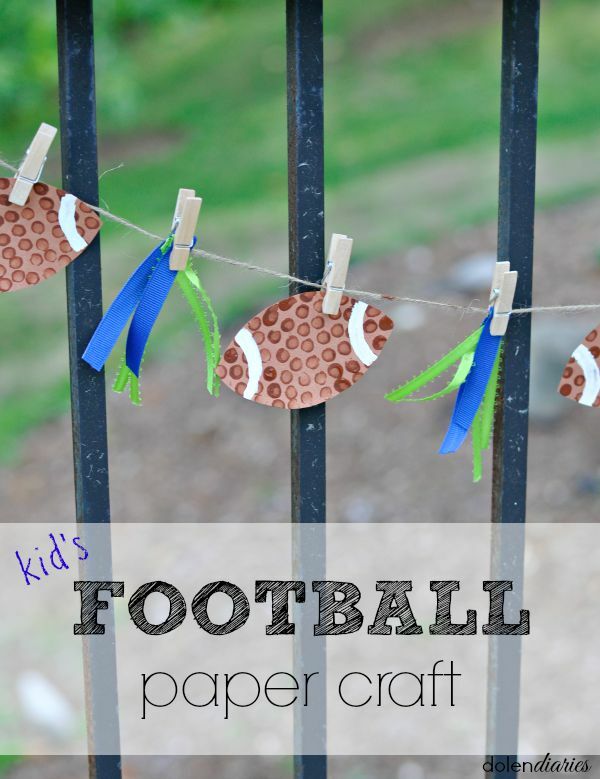 The boys are SO proud to have their football paper craft as a part of our game day décor! 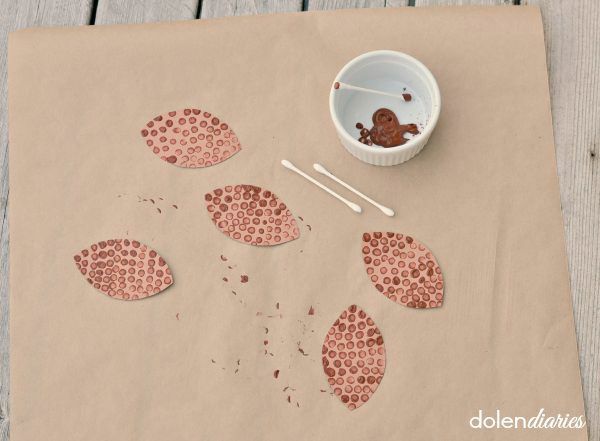 I’d love for you to pop on over to Dolen Diaries to check out more projects for quality time with the ones you love!